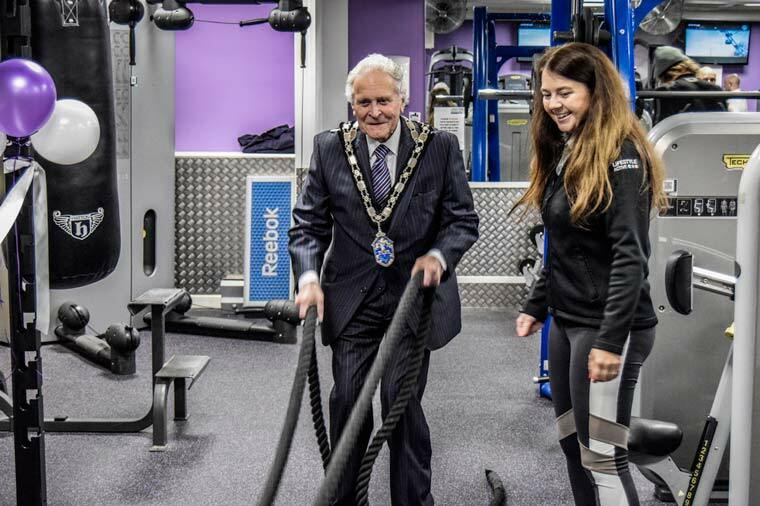 The chairman of East Dorset District Council was game for learning the ropes when he cut the ribbon at a launch event at QE Leisure Centre earlier this week. Cllr Derek Burt, accompanied by Mrs Burt, was invited to see the new gym equipment that has been installed at QE Leisure Centre on the outskirts of Wimborne. He said “I was pleased to have the opportunity to officially open the improved new facilities at QE Leisure Centre. I didn’t expect to get the opportunity to try the new equipment for myself, but I enjoyed it more than I thought I would! “Improving the health and wellbeing of residents is one of East Dorset District Council’s priorities, so I’m especially pleased to see that the council was able to invest funds to improve our leisure offer to local people. East Dorset District Council have invested over £120,000 at the facility which has seen the sauna and steam room areas completely refurbished. The gym also now boasts a new RIG and CV equipment. Dan Stone, business development team leader, Christchurch and East Dorset Councils said, “Earlier this year we carried out a survey asking our current leisure centre users what improvements they would like to see. We used some of these suggestions as the basis for our latest improvements and I am thrilled to see the new equipment in place.